The Full Moon has a divine energy, a great force which we draw power from during ritual. 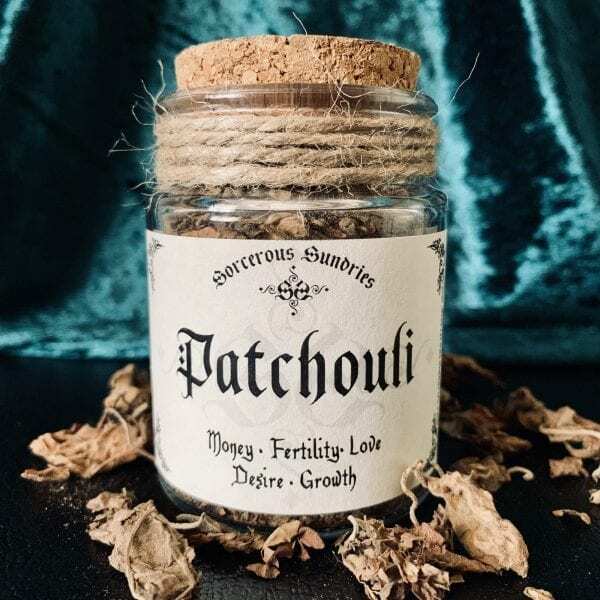 Being enchanted by the moon, this Full Moon incense was created to help shift the energies within your scared space, ready for any type Full Moon Magic. Harness and utilise the energies from both the aromatic incense and the moon! Breath and inhale the all natural aroma of this mixed loose incense. 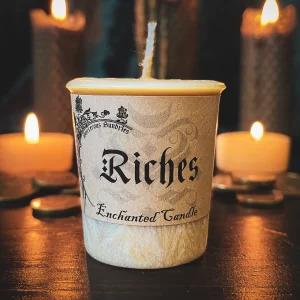 Allow your creativity flow free during spell work and watch the enchanting plumes of smoke rise from your cauldron. 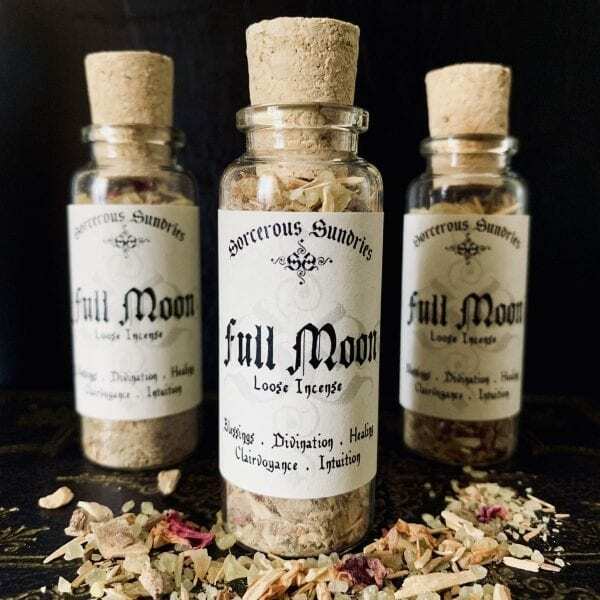 Full Moon Incense comes in a corked glass vial. Sprinkle a small amount into your cauldron or heat resistant vessel with a prepared charcoal disk. 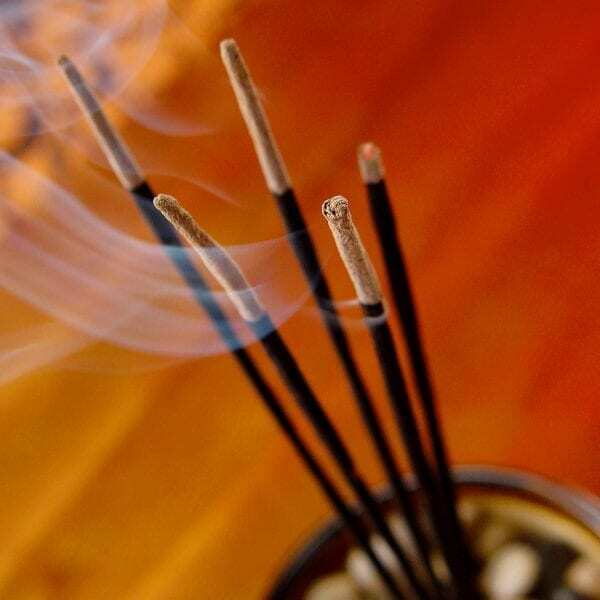 Allow the all natural aroma of incense to shift the energies within your sacred space.